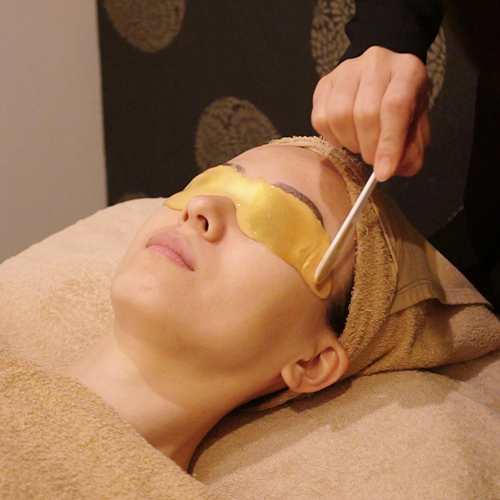 Rejuvenate and brighten dull, lifeless eyes with Renaza’s Eye Rescue Gold Therapy! 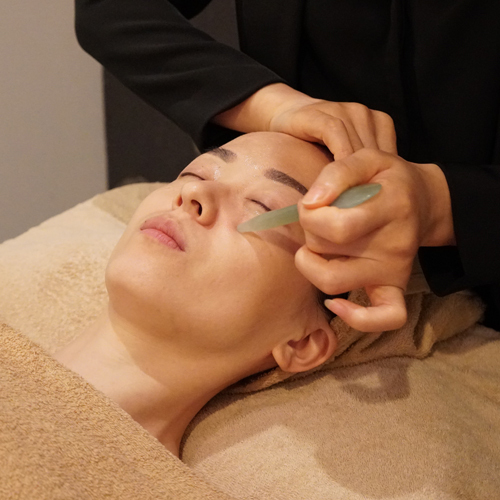 With premium peptides, botanical stem cells extract and other active key ingredients, the treatment combines rhythmic strokes from the Jade Gua Sha technique to visibly reduce dark eye circles, eye bags, wrinkles and fine lines. 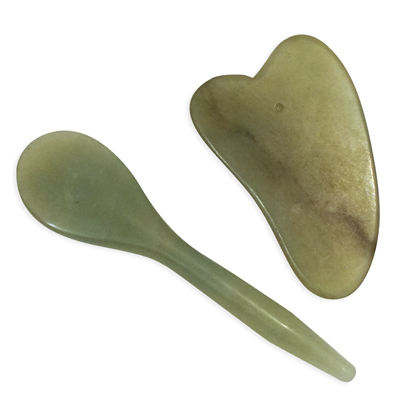 The traditional use of Jade as a Gua Sha tool protects and balance the body ‘qi’. It is yin/yang-balanced, cool, yet warms to the body temperature. 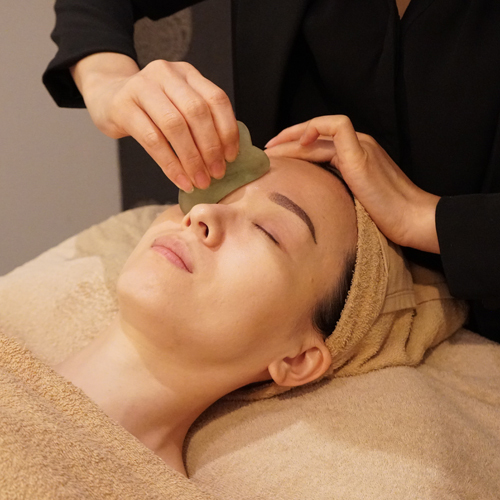 It is excellent for detoxification and its ability to soothe, stimulate and tone the delicate skin around the eyes. Lymphedema is often triggered by sleep deprivation, hormonal imbalances, high sodium foods and genetics. 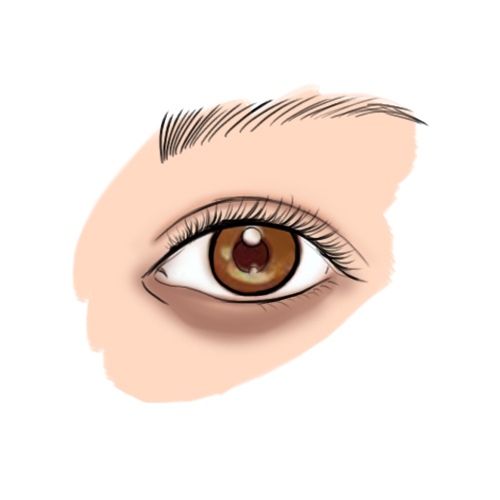 Fat deposits appears when muscles around the eyes are weakened and tissues moves lower due to gravity. Ageing can cause volume depletion under the eyes, resulting in hollowed-out shadows. Allergies and frequent eye-rubbing can also lead to increased swelling, inflammation, and broken blood vessels in the eye area. 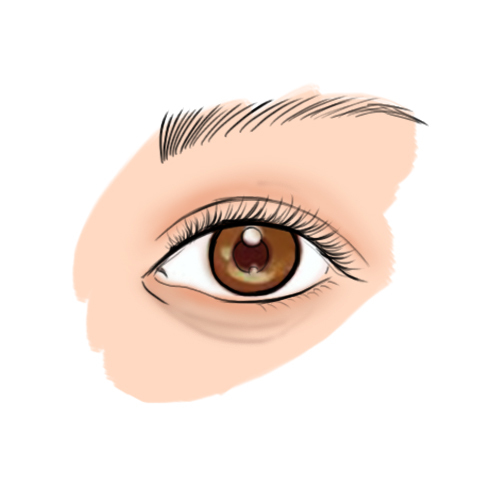 Sun damage shows up in the form of pigmentation irregularities. 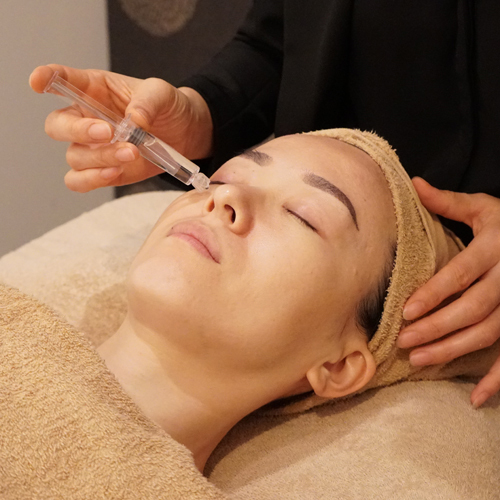 Loss of skin resiliency due to the depletion of protein fibres elastin and collagen, leading to dry, thinning, dehydrated skin with wrinkles and fine lines. 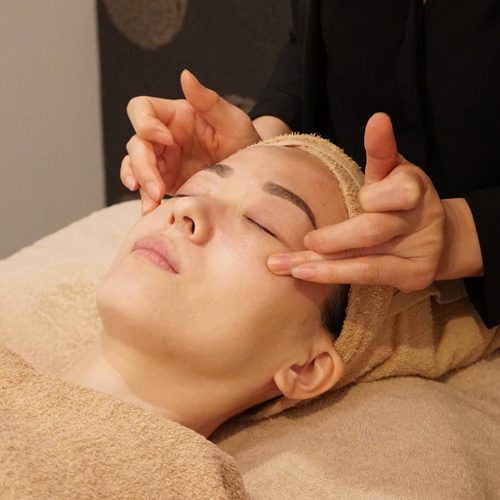 This ancient holistic East Asian anti-ageing technique uses dermal acupressure, rhythmic strokes to massage and gently scrape the skin. 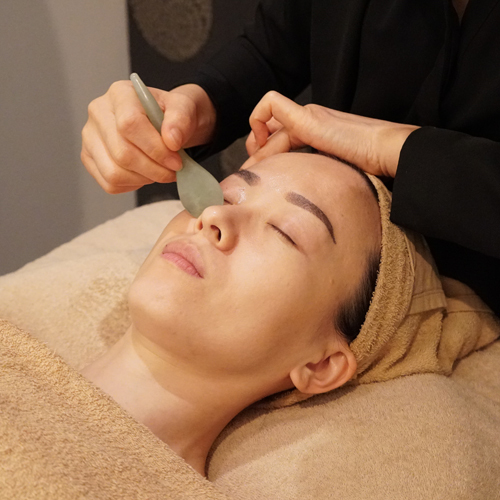 Jade Gua Sha Therapy helps release blood and fluid stagnation, extract toxic waste, promote blood circulation, relax facial muscles, and stimulate the dermis to support collagen and elastin production.